The guests are gathering. Drinks are in hand, friends and family are catching up, accompanied by plenty of laughter. The promise of an amazing meal has bought them all to your place. Grandfire BBQs make a stunning impact for the discerning entertainer. Owning one means you will enjoy the sophistication and sleek finish of a BBQ crafted from the finest quality stainless steel. Guests will be treated to perfectly cooked steak, succulent chicken and chargrilled vegetables of restaurant quality. The closer you look at a Grandfire BBQ, the better it looks. You'll discover our stainless steel is commercial grade, promising greater toughness and corrosion resistance than lesser BBQs. It's also double skinned in zones exposed directly to high temperature. 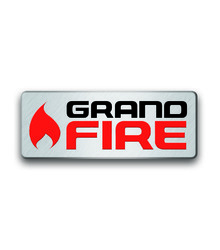 Our confidence means you'll receive the benefit of an outstanding warranty on your new Grandfire BBQ. 240V Rotisserie Kit for Grandfire Classic 26"
Natural Gas Conversion Kit for Classic 26"
Not all stainless steel is created equal. Most 'stainless steel' is a very low grade that will quickly rust if left in the weather. Our BBQ's use 304 grade stainless for the BBQ and hood. 304 grade is considered the best grade for use in quality BBQ's and is the grade most often used in commercial restaurant kitchens. We use 443 grade stainless steel on our BBQ Cart, which is harder and therefore best suited to cart construction. The gauge or thickness of stainless steel should also be considered when choosing a BBQ. Check the weight of our BBQ's against those cheap options on the market. You will find our BBQ's are up to three times heavier than others. And when it comes to BBQ's, weight matters! A BBQ's warranty is one of the best determiners of product quality. Our 10 year BBQ warranty is one of the best BBQ warranties available. The warranty covers the structural integrity of our stainless steel. All our BBQ's are precision welded to provide unsurpassed strength and rigidity. Welding of the joints also protects against corrosion, as there are no exposed edges that can rust over time. Welding is considered superior to screw or bolt fastenings which can become loose over time, causing the BBQ to lose integrity. The hood of every BBQ is hand fabricated from the best 304 grade stainless steel. The hoods are double skinned for heat retention leading to oven temperatures in excess of 350 degrees. Unlike rear hinged hoods, the mid hinged roll top hood of our BBQ is a breeze to open and close, despite being twice the weight of an average BBQ hood. 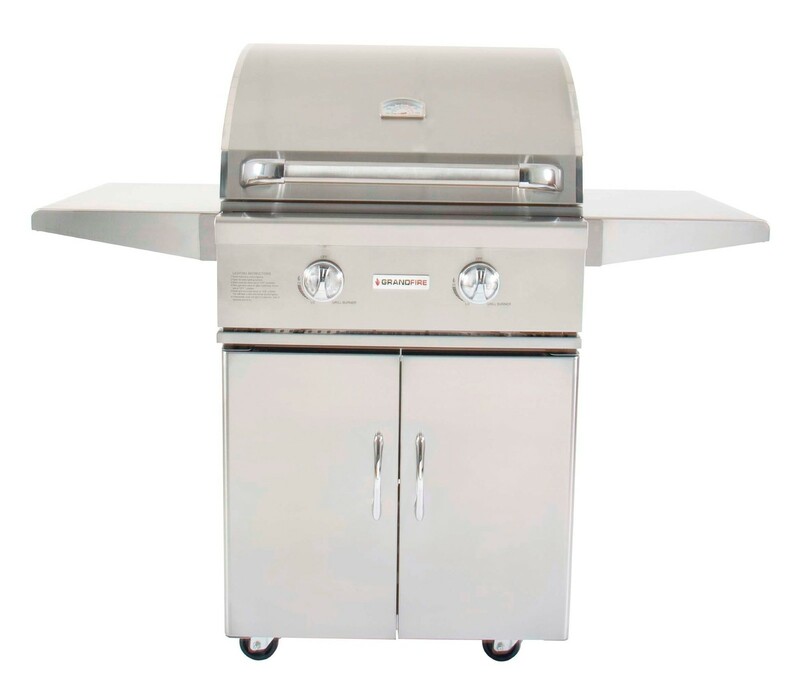 All our BBQ’s feature heavy duty full length stainless steel hood handles with special anti-heat transfer technology which ensures that the hood handle stays cool and will not burn when lifting the hood. All our BBQ's feature dual Celsius and Fahrenheit temperature gauges. These are specially incased in stainless steel with a glass window which provides for maximum reliability at all temperatures. All our BBQ hoods feature our hand polished edge detailing which demonstrates the extra quality workmanship that is present in all our BBQ's, as well as providing that special stylish presentation and finish. The BBQ flavor enjoyed in food that has been cooked on a quality bbq, is all about the flare control system. By vapourising juices as they drip out of food, flare ups are prevented and the flavor of the dripping juices is returned to the food. 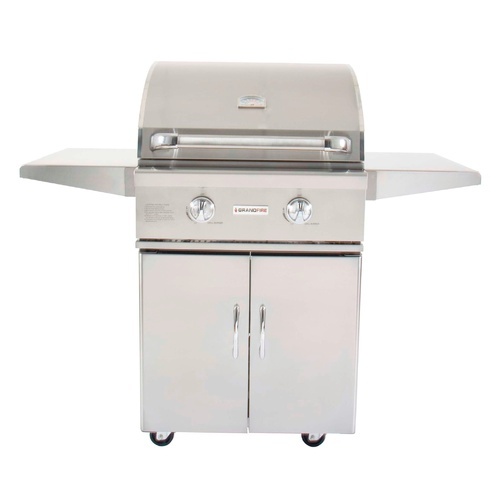 These BBQ's feature solid stainless steel cooking grills. Their super heavy weight construction evenly distributes heat for even searing. These grills are warrantied for 5 years. These BBQ's feature 4mm solid stainless steel cooking hotplates. Stainless steel plates last longer than other plate types. They are also the most hygienic plates because of their easy clean nature and will never be prone to paint or rust flaking, which often occurs with porcelain coated or cast iron hotplates. These hotplates are warrantied for 5 years. All our BBQ's feature full length warming racks to ensure that cooked food stays hot while completing the rest of your BBQ cooking. Their heavy duty stainless steel construction ensures that they will operate under the high temperature of standard BBQ cooking. All of our BBQ Carts come complete with side shelf (two shelves where side burner is not provided). The solid gauged construction provides additional surface for holding your food and condiments. The fold-down system enables a more compact BBQ when stowing away or when not in use. These BBQ’s feature problem free piezo ignition system incorporating solid brass control valves. Piezo ignition is widely used because of the ease of the use and reliability of these igniters. Side burners are a great supplement to the BBQ's main cooking surfaces. Fry your eggs, cook vegetables or a complete wok meal using powerful 11.6 Megajoule side cooker. All our side burners feature individual controls, heavy duty stainless steel grill pot stands, and stainless steel storm protection lids. Many BBQ's use a tapered base and drip cup to capture fat that passes the flare control system. However this leads to a build up of fat inside the BBQ that can lead to fat fires. Our BBQ's use a full width drip tray that is accessible from the front of the BBQ making regular cleaning extremely easy. Gas bottles are heavy. A full '9kg' bottle actually weighs around 20 kilograms! In order to make changeover easy, this BBQ features a heavy duty, telescoping gas bottle mount, complete with an Ezyglide track system. Hook up the gas bottle outside the unit and then slide it neatly away. When buying most BBQ's, you will discover that the cover is normally an optional extra, leading to additional expense. In order to protect your investment, this BBQ is supplied with a premium, handmade and UV stabilized storm cover. Time is precious and you don’t want to spend your valuable time assembling your newly purchased BBQ. Our BBQ head units are preassembled by our professional assembly team before leaving the factory. Not only does this save you time, but you can be assured that your BBQ has been assembled to the highest standards, with no parts left over! Even our BBQ carts come mostly assembled. Just attach the castors and door handles and you are good to go. Our freestanding BBQ's weigh considerably more than many other BBQ's, and so they need castors that are able to handle their hefty weight. Plastic componentry would not stand the test of time and therefore our BBQ's feature heaving duty, cast alloy casters with an integrated locking system. All freestanding BBQ models incorporate welded, boxed frame doors and draw fronts (where supplied). Their boxed frame construction ensures no warping and twisting and precise closing for the life of your BBQ. Plastic control dials split and break over time. In order to ensure that your BBQ's dials last the distance, all our BBQ's are supplied with cast zinc control dials that are extremely durable and corrosion resistant. They also offer a high quality and durable 'feel', something that you would expect in a leading BBQ brand. For maximum flexibility all our BBQs can be optionally converted to natural gas by the addition of our natural gas conversion kit which contains everything needed for simple conversion by a qualified gasfitter.